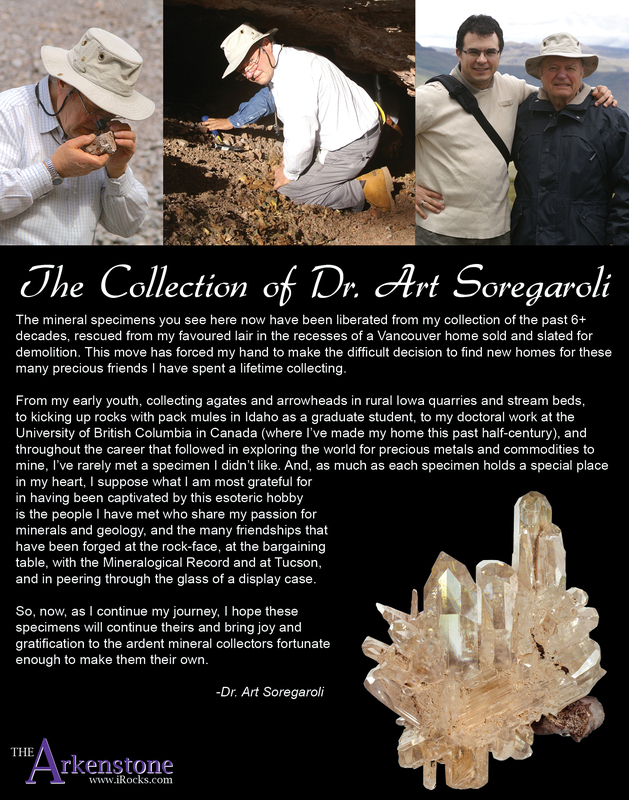 We've had many collectors ask us for more information about Art Soregaroli, the man who collected many of the fine minerals we've posted recently as we've been trusted with the deaccession of his collection. No one is quite as deserving to share his story as Peter Megaw, a long-time friend, collecting partner, and coworker of Art Soregaroli. We're thankful Peter took the time to share some of his favorite stories of this dedicated mineral collector. It is not an easy job to write just a few words about my friend, mentor, colleague and fellow collector Art Soregaroli, because our interests overlapped in so many different ways. In the beginning it took us a while to recognize that we were getting introduced both at Tucson and Pacific NWFM Symposia, and in a wide range of professional geological settings (me as a graduate student and him as a distinguished senior geoscientist). Back then he seemed to roll from one Presidency after another (Society of Economic Geologists; Association of Exploration Geochemists) and one prestigious award after another (Geological Society of Canada; Canadian Mining Institute), but he always expressed interest in my research at Santa Eulalia in Chihuahua, Mexico… and the minerals that came from there. We recognized this common interest as something special and often commented on how odd it is that so few professional geologists are mineral collectors, and vice versa. Things really gelled in 1987 when an opportunity arose to include him on a field tour of Santa Eulalia and Naica with one of my consulting clients. I arrived in Chihuahua two nights before Art and the others were due to appear and of course headed out to see what new minerals were available. I walked into a room lined with homemade display cases filled with over 100 pieces of gorgeous butterscotch-colored, cauliflower-style mimetites ranging from miniatures to very large cabinets. I was sick, I knew I needed to buy the lot but had nothing like the necessary cash on hand. Nonetheless, I spoke for the lot and left a deposit of what I had, hoping that somehow I could drum up the balance. The next day I quickly realized I had nowhere to turn but Art, so I called him at his office and caught him just before he had to head to the airport. As I began to explain the situation he cut me off and asked how much I (we actually) needed. He said he had to hang up immediately if he was going to get the cash and still catch his plane. On meeting his plane that evening he affirmed he was “packing” and that he wanted to see the mimetites right away. (I sensed a reserve on his part, which he later admitted came from a combination of not knowing me that well and being headed out into a pretty scruffy part of town.) On entering the room he looked around quickly and, while keeping a good poker face, nodded slightly. 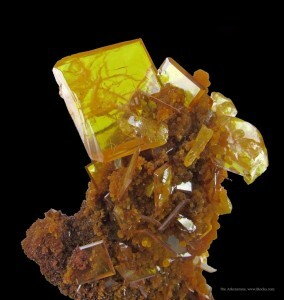 Gemmy Mexican wulfenite with mimetite from the Art Soregaroli Collection, 6.5cm, from the 1970s finds at the San Francisco Mine. This is one of the pieces Art kept for himself during this deal! The deal done, we proceeded to choose the top ten pieces each with the intention of packing up the rest for me to sell at the next Tucson. He insisted I take first pick since I found the opportunity, and no amount of my insisting that his paying for the lot trumped that. It was a really tough choice between a cantaloupe-sized bowl of mimetite and a superb small cabinet. I went for the melon and he took the cabinet. I drooled over it every time I visited him and was VERY pleased to have the opportunity to get it when Rob Lavinsky at The Arkenstone got the collection. Art became Chief Geoscientist for Teck Resources in 1990, shortly after we put together our US-Mexico based geological consulting group. He was pivotal in convincing Teck that we should run their programs in Mexico and we did so for nearly five years. It was great to work with Art in the field and have the opportunity to visit him and Rosalie and Brian (his wife and daughter) in Vancouver whenever I had to report to the home office. Allison and Rosalie became fast friends, so while they sat upstairs and talked in the kitchen (Rosalie is an amazing cook), Art and I would repair to the basement to look at minerals. On one early visit we went through all of his exhibit cases and many of the collection drawers (I don’t think anyone ever saw them all except Rob) and noted a remarkable number of superb fluorite specimens sprinkled here and there. I accused him of being a fluorite collector, which he hotly denied. Six months later he took me downstairs and proudly showed me his principal exhibit case… which was filled with nothing but fluorites! 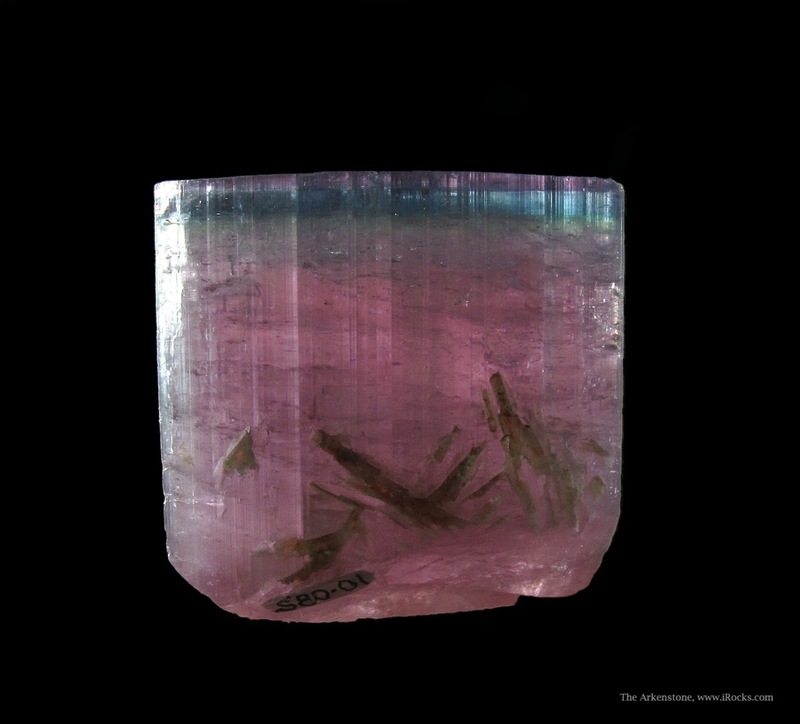 He allowed that my off-hand comment had shifted his collecting perspective and that he recognized he was a fluorite collector…and a tourmaline collector… and a Tsumeb collector; with his entire display collection reorganized accordingly. That shift coincided with my determination to focus 100% on Mexico, which meant that a really nice miniature yellow Hilton Mine fluorite from England would be much happier in his collection than mine. He proposed a trade for something Mexican. I spotted several things that were out of bounds and then a wonderful miniature Santa Eulalia quartz group from a find I had missed out on. Art is congenitally mischievous, so when we convened again in his basement a few months later, the quartz was nowhere to be seen. I looked high and low for it while he ogled and complimented the fluorite. With a twinkle in his eye he reached into a drawer and pulled out the piece, already packed to travel. It has been on my shelf ever since. Art’s contributions to preserving minerals, their geologic context and mineral collections as a whole are legion. He ram-rodded the successful effort to get the William Pinch Collection into the Canadian Museum of Nature and the valiant, though ultimately ill-timed establishment of the Pacific Mineral Museum. He was also a prime-mover and regular volunteer at the British Columbia Museum of Mining, which attracts a growing number of visitors interested in the benefits of mining each year. His repeated trips to Peru for Teck resulted in a broad understanding of Peruvian specimen localities and co-authorship with Guido del Castillo of the encyclopedic Peru: Paradise of Minerals (2011). His work with Teck also took him down the path of attempting to industrialize the production of Montana sapphires. Retirement slowed him down not a whit. As a consultant he succeeded in getting the Pasasquiera Mine in Portugal to treat their abundant mineral specimens as another kind of ore…while finding significant amounts of conventional ore throughout their mines. 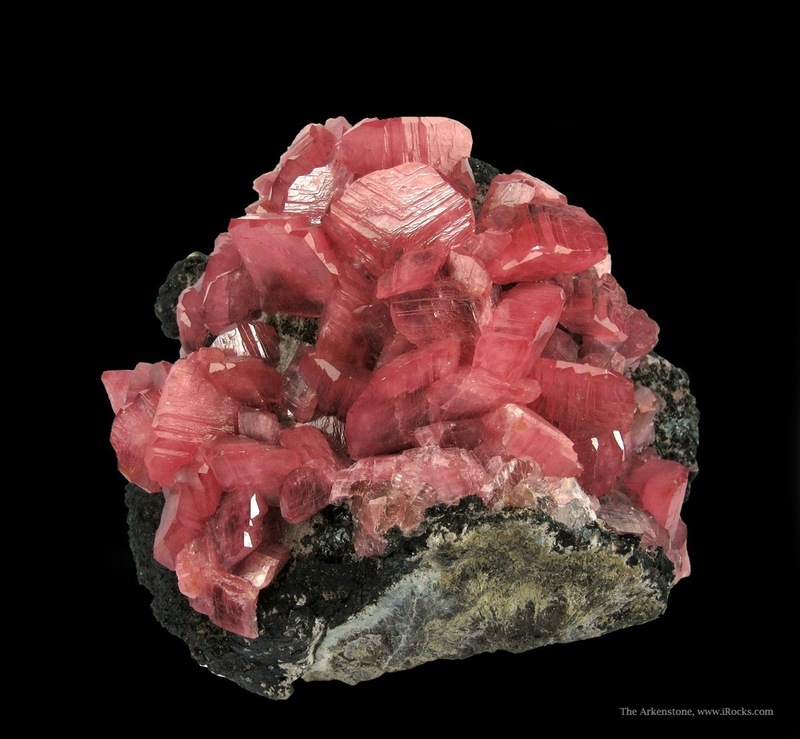 As a collector, working at the Zapot pegmatite in Nevada with his long-time friend Harvey Gordon (you could always find Art in Harvey’s booth at major shows) he not only opened nice pockets of amazonite and topaz, but systematically mapped the pegmatite and collected suites of the pocket fill for scientific study. This material remains intact looking for the right researcher. Geology, mining and minerals continue to give Art great pleasure, although all fade fast in the shadow of grandparenthood. In some ways it’s sad to see a great collection dispersed, but now pieces representing the 60 year coming-of-age of mineral collecting are out of the dark recesses of Art’s basement (a place only he could stand upright) and available to the collecting community at large. I am delighted to have several of his pieces in my collection, especially the ones through which we have a common bond. I now have both sides of the stories… and can tease him about the ones that got away! Sadly, Art passed away peacefully surrounded by family on October 19, 2017. 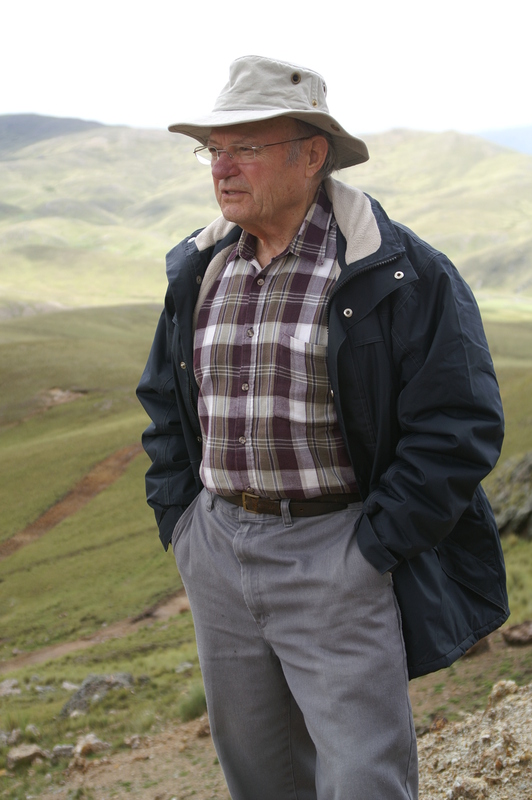 With his passing the mineral world lost a great geologist/mineral scientist, staunch friend and true gentleman - the outpouring of tributes from those whose lives he touched has been impressive. His work getting the Pinch Collection to the Canadian Museum of Nature was mentioned by many, as was his work with the Brittania Mine mining museum near his home in British Columbia, and his manifold contributions to mineral symposia...especially the Pacific Northwest FM Symposium that closed just 2 days before his passing. 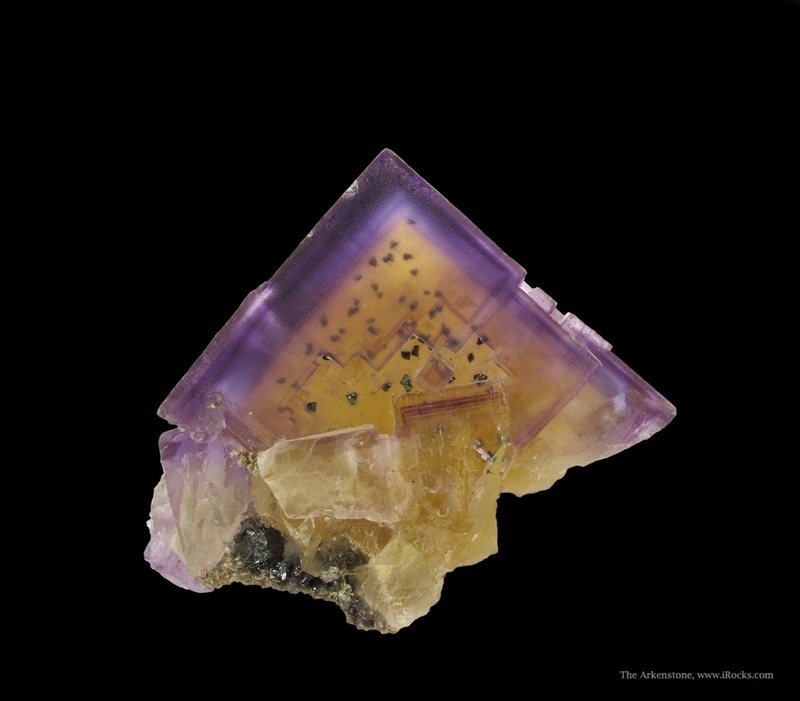 Jodi Fabre noted that Art was single-handedly responsible for guiding the famous Panasquiera Mine in Portugal back into the black so that could not only thrive as a metals mine, but continue to produce quantities of excellent specimens to this day. Those who wish to express condolences to the family can do so to his beloved wife Rosalie at remembering.art@gmail.com. She will share them with daughter Carla, son and daughter in law Brian and Michelle and the grandchildren he doted on so fondly. Those who wish to honor his memory can do so by visiting/supporting the Canadian Museum of Nature, the Brittania Mine Museum or attending next year's Pacific Northwest FM Symposium. Adding a specimen from Panasquiera to your collection would work too! In the 2014 Dallas Mineral Collecting Symposium, Dr. Peter Megaw shared his expertise on Adventures in Mexico's Great Specimen Mines. Learn more about Dr. Megaw and the Dallas Symposium held every August.